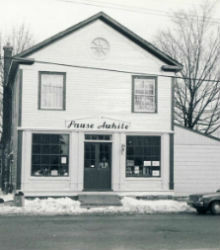 Prior to becoming the home for Kinstruct Health Chiropractic & Wellness, 31 Main Street South was originally Waterdown’s first post office. 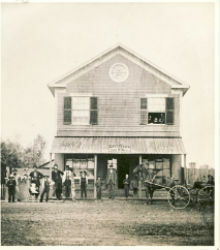 The building was constructed circa 1857 as a combined shop and residence and became the post office in 1860. The post office was the centre for communication for the Village of Waterdown until the early 20th century. Through the 1900s, the building transitioned through many uses, including a harness-making shop, accommodations, and a tea room. Despite being the one of the oldest buildings in Waterdown, the Post Office once housed Waterdown’s first telegraph station and telephone office. Before 31 Main Street was converted into our health and wellness office, it was the home of “Pausa While” a family owned and operated tea room. The charming couple owned the heritage home for over 40 years, adding to the character and history of Waterdown. Today our new home is easily remembered as “Pausa While” to the people of Waterdown, and we are proud to say, now you can “Pausa While” to heal and restore your health. We’d love to show you around our historic office. Contact us to make an appointment today.